What is used to colour glass? The National Gallery has a glass block floor and some of the panels are rich colours - green, browns, blues. Geology.com tells me that metals are used to impart colour to glass. 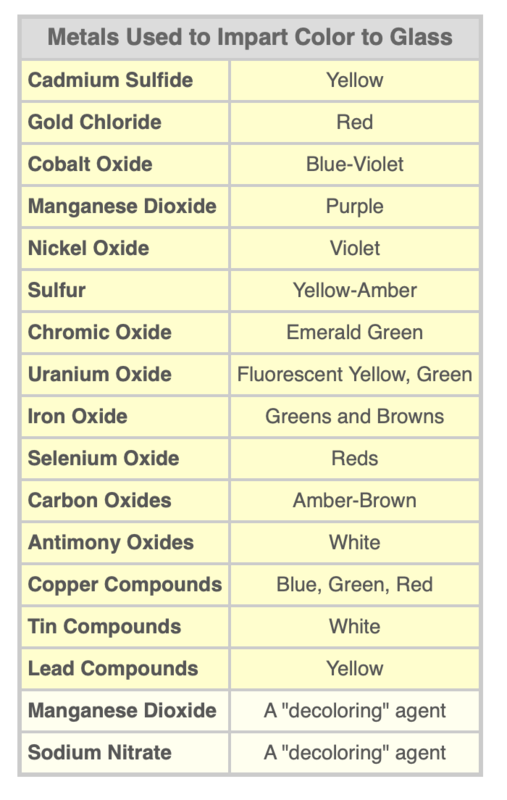 Do these metals also impart the colours in a discolouration process? 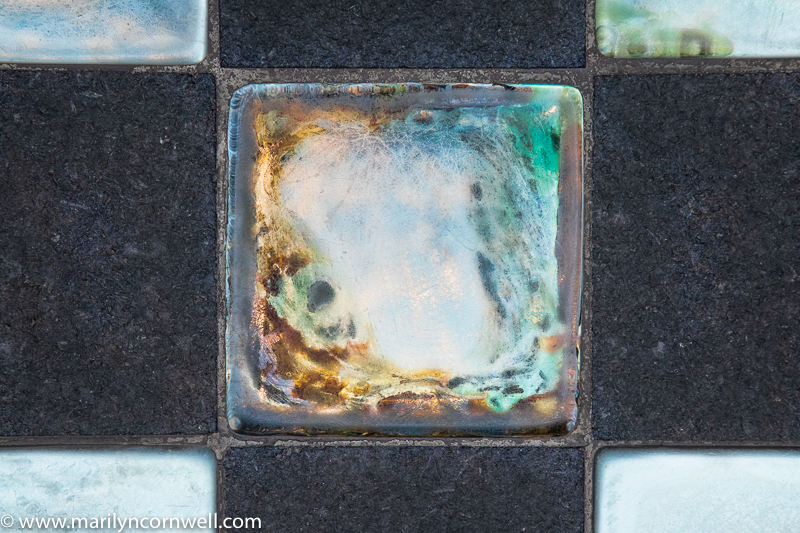 Here's the glass block image with its swirls of golds, browns, greens and blues. The glass is cloudy and milky as well. To me, this looks like the blues and greens of copper stains. 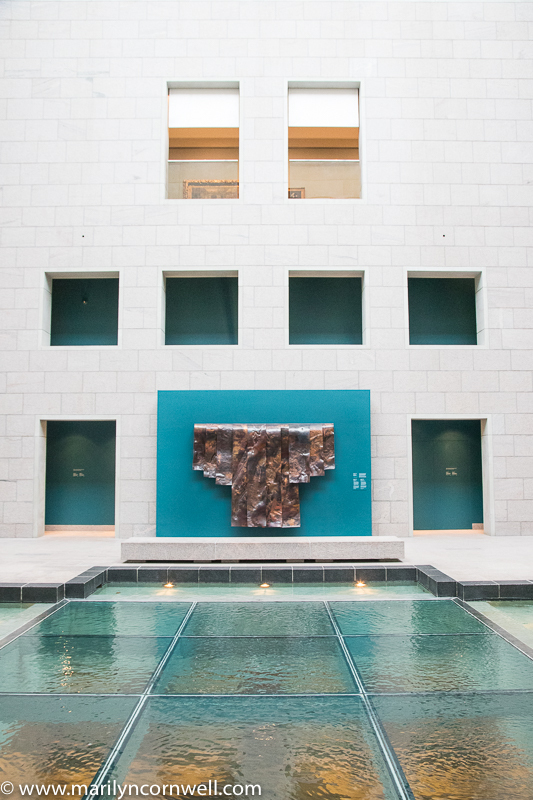 It matches perfectly with the gallery above - it has a water feature. 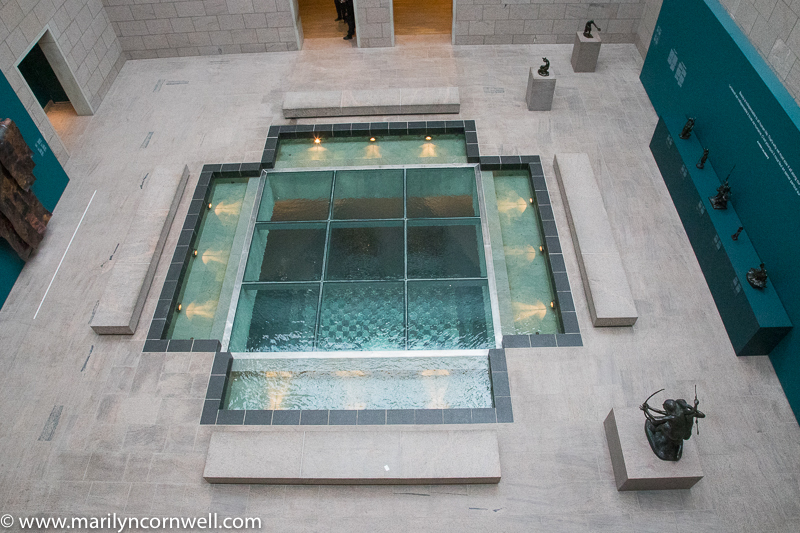 It creates water patterns on the glass block floor that is directly below the water gallery. You can see the relationship between the two floors in the third picture.